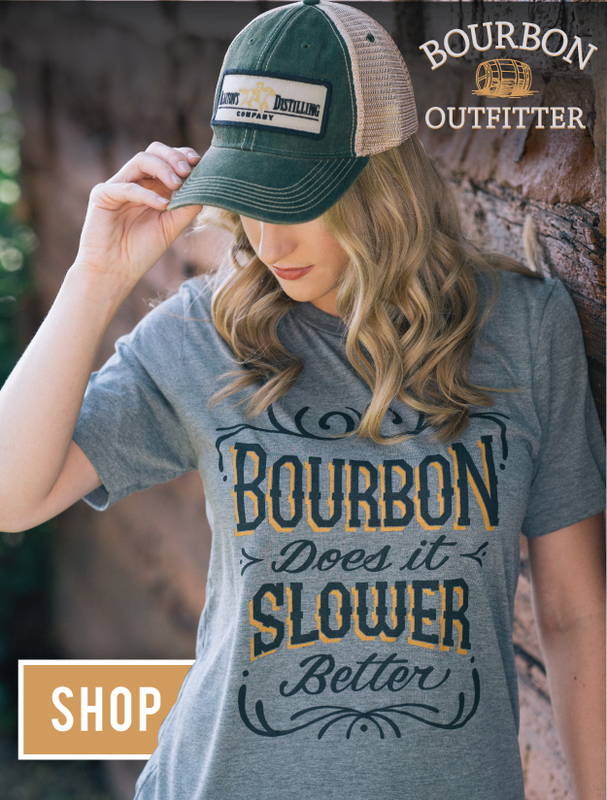 Originally Published in The Bourbon Review Winter 2016 Issue. Christmas came extra early this year for Bourbon history buffs at Buffalo Trace Distillery. The Frankfort, Ky. distillery broke ground to renovate a building, known to them as the Dickel Building, into an event space in April. It was known as that name, because according to them, whiskey under the George Dickel brand name was distilled there for a short time after Prohibition. But the pre-Prohibition history of that building had been forgotten. While workers were starting the process of reinforcing the building, by digging along the load bearing walls on the first floor, they discovered bricks and limestone structures that had been buried underneath a concrete floor. Once this was discovered, Buffalo Trace quickly pivoted their focus from reinforcing the building to preserving the site and whatever clues from the past laid below this building along the Kentucky River. They immediately contacted Bourbon archaeologist Nicolas Laracuente and historian Carolyn Brooks so they could advise on what might have been covered up underneath the Dickel Building. As dirt was being carefully removed, it became clear that some of the walls being unearthed were actually old fermenting tanks and were probably placed there by the legendary Col. E.H. Taylor. They even discovered some exterior walls that seemed to be in good shape of what was left, but were obviously left over after an event had destroyed them at some point due to their lack of height. Laracuente and Brooks evidently were able to put together a thorough story of what this site used to be. According to Laracuente, in 1869 Taylor completed the first O.F.C. Distillery on the campus that is now known as Buffalo Trace. But in 1873, Taylor tore down that facility and built a larger one. That plant distilled whiskey until June of 1882 when a lighting strike burned it down. Taylor didn’t waste any time and aggressively starting rebuilding the facility right on top of the old site and reopened it by the end of the year. The second O.F.C. distillery was destroyed by fire in the summer of 1882, and immediately the process of its restoration was begun, so that today it stands without a rival in the beauty of its design, the completeness of it appointments, and the adaptedness of every feature for the manufacture of a perfect whiskey. Not a cent of expenditure has been withheld that could add a single detail necessary to the completeness of the product, whether relating to the distinguishing properties of the whiskey, or the subsequent storage for speedy maturity. Laracuente is convinced the exterior walls found there, that were obviously hand chiseled, were once the ones that surrounded the distillery Taylor constructed in 1973, the one that would evidentially be destroyed by fire. Pictures from the “Compliments of E.H. Taylor Jr. Co. Distillers” seem to confirm this as well. For someone like Laracuente who has dedicated his career to studying the history of Kentucky, this was a dream come true. In his words, the site was, “Pristine from an archeological view point.” This was due to the perfect series of events leading up to the discovery. When the original building was torn down, Taylor obviously did not completely clear the site because some of the original foundation from that building was also discovered. Then the next building was constructed right on top of the old site which gave shelter to those remaining pieces of the old building. When the second building burned, Taylor was in such a hurry to rebuild that he didn’t completely tear down and remove everything, and once again built right on top of the original site. Laracuente believes that because some records show in 1958 that equipment in that building was sold for scrap, that is when the ground floor site was partially filled with dirt and had a concrete floor poured on top of it, effectively sealing and preserving the site up until now. 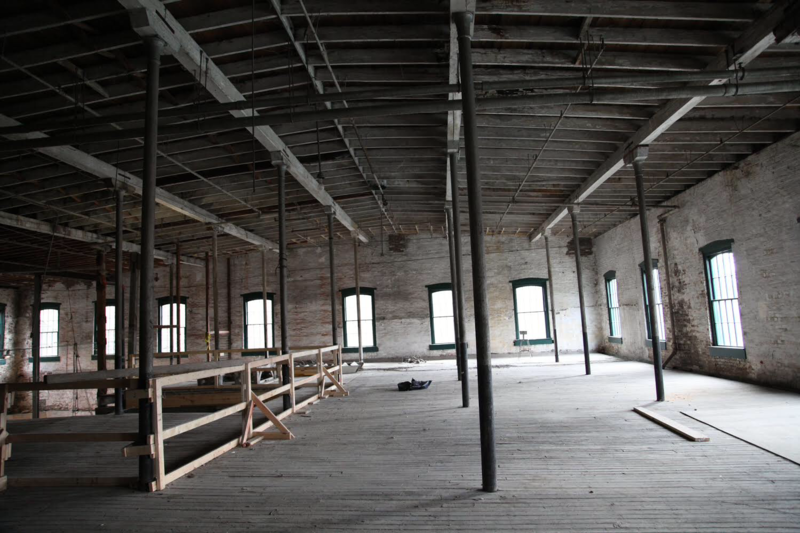 Buffalo Trace is still planning on turning this site into an event space. There are three floors in this building and the second floor, which used to be the old mash room, will still be turned into extra event space equipped with a full catering kitchen. They also plan on eventually allowing visitors to tour the site of what will probably be rebranded as “The E.H. Taylor Experience” or something similar. And why not? With the demand for Bourbon tourism reaching legendary heights, we don’t think they’ll have a hard time convincing folks to come see one of the oldest distillery sites Kentucky has to offer that belonged to one of its most legendary distillers. Update 8/6/17 – Tours will open at Buffalo Trace this week for Bourbon lovers to see Bourbon Pompeii and more! Click here for more information.